At Hamilton Health Sciences, we have more than 1,300 volunteers supporting our patients, their families and our staff. They’re an essential part of what we do. The benefits to volunteering in health care are all very personal and may include the desire to help others, or to gain valuable knowledge and experience within a hospital environment. Whatever the reason, we appreciate the contributions our volunteers make. As a way to show our gratitude, we’re pleased to offer many benefits to our volunteers, including complimentary drinks and parking, access to a wellness facility, scholarships, educational opportunities, and more. Thank you for your interest in sharing your gift of time with our patients, families, staff, and community. Hamilton Health Sciences (HHS) prides itself on helping people of all ages access the best care they need when they need it most. Volunteers at HHS have the opportunity to support patients in many different programs across our hospitals, from children’s to seniors’ care. We offer placements in both clinical and common areas of the hospital and work with successful applicants to find a volunteer placement that’s right for them. For more information about volunteer opportunities at Hamilton Health Sciences, please choose one of the locations below. If your application is accepted, you’ll be able to learn more about specific volunteer placements. Volunteer Resources is committed to recruiting and supporting quality volunteers. Due to the volume of applications received, only those selected to continue through the process will be contacted. Volunteer Resources keeps applications on file for 3 months. It’s important that anyone interested in volunteering at HHS understands the commitment required and the process involved. Please review the e-information session below to see if volunteering at HHS is right for you! If you’re interested in becoming a volunteer with Hamilton Health Sciences, please submit an application. Advisor Connect is a volunteer-based mentorship program that provides support to those who are looking for more information about volunteering opportunities and the volunteer onboarding process at Hamilton Health Sciences. Through Advisor Connect, a representative from the HHS Volunteer program can provide you with helpful information as well as a unique perspective to support your volunteering experience. 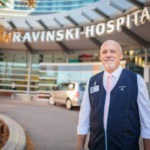 If you would like to connect with a volunteer advisor, please click on the appropriate hospital site below. Q: How will I know if my application form has been reviewed? A: All applications are considered over a three month period and those best suited for a vacancy will be contacted for an interview. If selected, you will receive an e-mail regarding the next steps of the onboarding process. If you have not been contacted by HHS’ Volunteer Resources team and you are interested in securing a volunteer placement, you may re-apply. Q: How long does the registration process take before I can get started? A: You will receive a registration package and instructions for the next steps, along with forms that must be completed. Typically, the health clearance takes two weeks, and the police check can take up to one month. The length of time depends on how quickly the forms are completed. Q: How does the selection process work and what is taken into consideration? A: All information included on the application form is considered, including: your availability, past experience and education, and age (some programs require volunteers to be 18 or older). Q: Do I require a police check? A: Police screening requirements will be discussed at the interview, as requirements vary according to your age and volunteer placement.